Our mobile website platform is a simple DIY option for building a single landing page or a complete mobile website. It is easily customizable to give the look and feel of your brand and includes features and functionality that promote online and offline conversions. Whether you choose to design your mobile website or allow us to do it for you, there are many features that can be integrated into the site to make it both effective and tailored to your target audience. See it as you build it. Present a map and directions so consumers easily find your business. A convenient way for consumers to search and buy products. Easily publish coupons to your website. Immediately connect consumers to relevant content on your mobile website. Generate leads and capture important consumer intel with easy to create forms. Consumers can book appointments or meetings 24X7. Track and analyze the performance of your website. Nearly 50% of web page views came from mobile devices. So, don’t miss out on opportunities. Ensure you have a mobile-friendly website that provides a solid, engaging user experience that keeps them coming back. Consumers have 24/7 access to your business. Connect with 190.5 million US smartphone users of all ages, representing 73.4% of internet users and 59.3% of the population. Take advantage of the 155.5 million U.S. mobile buyers. Consumers trust brands when they present a positive multi-channel experience. Mobile websites rank higher on mobile search engines offering opportunities for new visitors. 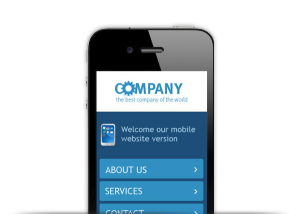 Ready to discover what our mobile website platform can do for you? Schedule a demo with our knowledgeable, friendly experts to discover how this revolutionary marketing tool can grow your business.